Welcome to Russell Palmer, who joins us as Production Manager. 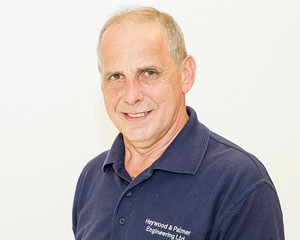 Russell is a qualified Engineer, with over 40 years’ experience and we are sure he will be a valuable member of the Heywood & Palmer team! Copyright © 2019 Heywood & Palmer Engineering Limited. Powered by WordPress. Theme: Esteem by ThemeGrill.